Project Project: What's for dinner? I'll tell you what's for dinner! What's for dinner? I'll tell you what's for dinner! We did all of our grocery shopping on Saturday like good little kittens, and are now set for the week. Want to see what we're having? Saturday: We spent the evening with friends (celebrity blogger friends!) and enjoyed their delicious cooking. Salad, pumpkin soup (with homegrown pumpkin, no less!) and grilled cheese. Yum! Sunday: Thai food! Specifically Chicken with Fresh Basil, from this recipe book, which I strongly recommend if you want to try making your own Thai food. Monday: Art City Salad. Basically a green salad with chicken, cranberries, almonds, cranberries and gorgonzola cheese. 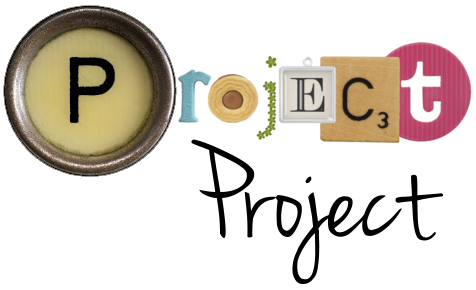 It's one of our own concoctions, and you can find the recipe here, if you feel like a dip in the Project Project archives. Tuesday: Chicken Quesadillas. No recipe, as we will be making them up as we go along. I'll let you know if we come up with something amazing. Wednesday: Soup and sandwiches. A creamy fish soup with a side of crunchy baguettes. Thursday: Chicken Alfredo. Nothing especially fancy or healthy, although we will be adding mushrooms and using whole grain pasta. We really like this line from Barilla, and I wish they would sponsor me for telling you that. Friday: A no-cooking day! We'll spend the night prepping for Espen's birthday party the following morning, so truth be told, we'll probably be grabbing take-out. Cafe Rio salad, anyone? How about you? What are you having for dinner this week? I was so impressed by how many of you already plan your weekly menus, so now I am dying to know who's eating what so I can steal all of your best ideas! Oh, and speaking of Espen's birthday party! We're planning something fairly elaborate again (for a toddler, anyway), so look forward to some photos and non-health related posts coming up soon! Flink du er som klarer å lage middagsliste. Var flink en periode jeg også, men så sklei det bare ut. Men en burde seriøst ha en... Siden jeg jobber kvelden både mandag og tirsdag, så blir det lissom så som så med den middagen de dagene altså...men om en hadde planlagt litt, så burde det ha vært litt enklere å fikse noe. Men innrømmer at det blir av det kjappe, enkle slaget. Lykke til med å lage middagslister!! My mouth is WATERING at your menu for the week! I'm a die hard Gorgonzola fan! oh, I read Progressive Pioneer! This week I'm going to try making croissants--I'm curious if it's even possible to do by hand. I'm also going to try making savory crepes, so I guess it's French cooking week for me! Though I did just buy myself a cute green frame to make a weekly menu board out of. So hopefull that'll improve things. I kveld blir det crêpes party på oss, digg middag. Og vin!!! !